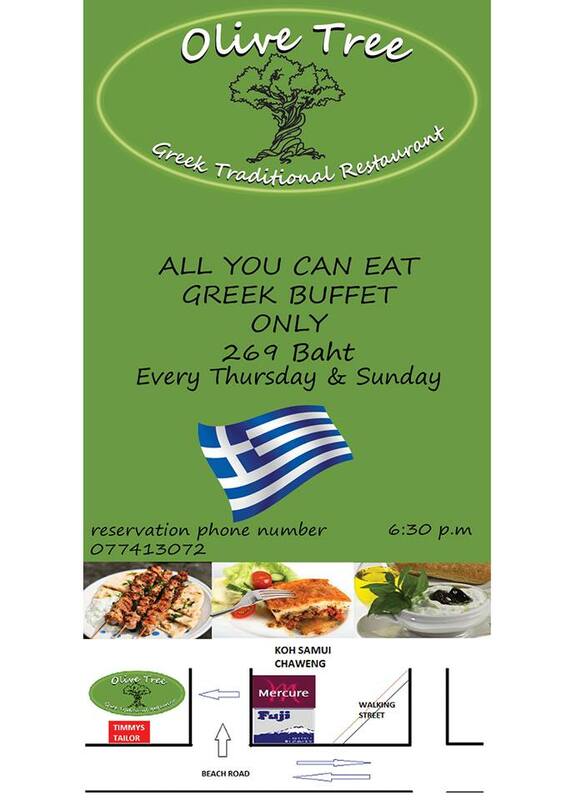 The lovely Olive Tree Traditional Greek restaurant in south Chaweng is now offering its customers an all you can eat buffet on Sunday’s as well as Thursdays. This gives diners the opportunity to indulge in a wide variety of traditional Greek dishes and enjoy Greek music and hospitality. The culinary party starts at 6.30 pm……….so what are you waiting for?